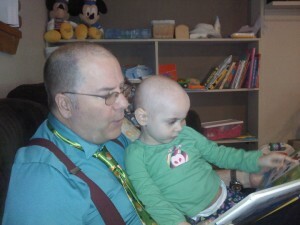 Steve’s granddaughter Alyssa, now almost 7, is a childhood cancer survivor. Now in remission, the family celebrates her recovery by participating in fundraisers around the region that focus on cures. Over the past few years they have participated in the CureSearch Walk for Children’s Cancer in Tacoma, and other events, as well as hosting a Facebook referral promotion where every new ‘like’ equals a cash donation to the Mary Bridge Children’s Foundation. Even the business’s trademark lion-in-a-blue-truck logo sprang from a family Valentine’s Day present. As Steve delivered it home, so many fellow motorists pointed, smiled, and waved it became something of a mascot and now finds its home on business cards and Facebook profiles alike. 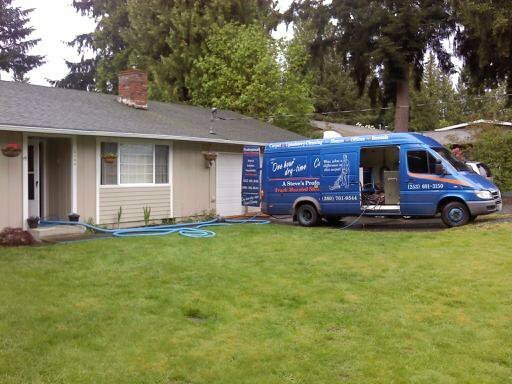 A Steve’s Professional Truck Mounted Steam Cleaning can be reached at 360-701-9544.